This rare big-block 1969 Camaro Pace Car is one Dane’s dream realized. When people say “pace car”, the 1969 Camaro comes into your mind. At least it does for me, I think it is epitome of Indy Pace Cars. The dream of owning one started back in 1988 when I travelled the U.S. for 13 months with two friends. They were “car guys” just like myself, and we got to see 39 states and a lot of cars. In Odessa, Texas we saw a private muscle car collection. Here I saw a small-block Z11 Camaro for the first time, and the dream of owning one started immediately. 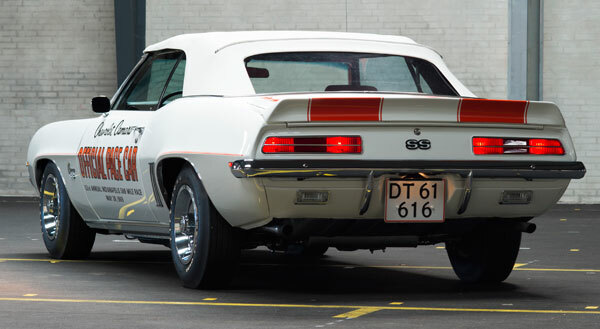 It would take some time and the importing of two 1969 Camaro convertibles to Denmark before I got to buy a ’69 Pace Car. This car came from Ray Skillmann’s private collection in Illinois. It was not for sale, at least not in the beginning– but my two visits from Denmark made him consider a price. The price was high I can tell you that, but with help from Scott Harding and from Dreamfactory in Sweden, things started to lighten up. Scott, who lives in the Minnesota, flew to Chicago and made the deal for me. One has to know that sitting in Denmark trying to negotiate and buy a car in the U.S. is almost impossible. 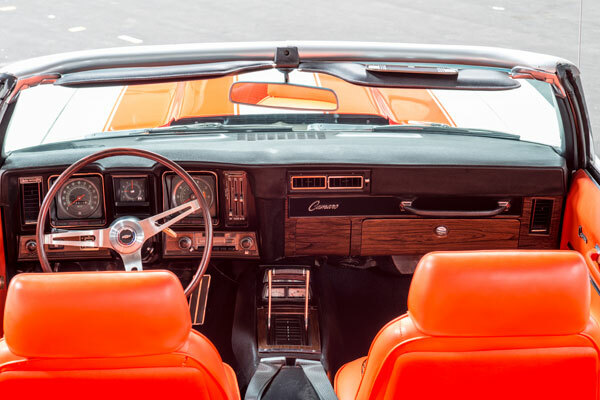 The car was shipped together with a split window Corvette that Dreamfactory had bought in the Chicago area. A month later in 2010, we could open the 40-foot container and inspect the car on Danish ground. I was not disappointed at all, the car turned out to be exactly what I had dreamed of for the last 22 years. This Camaro is a matching-numbers big-block car with factory air, also it has power top and Rosewood steering wheel among its accessories. It has its Protect-O-Plate in the folder that came with the car from new. With all correct factory markings and attention to details, this ground-up rotisserie restoration is among the best jobs I ever have seen done on a Camaro. 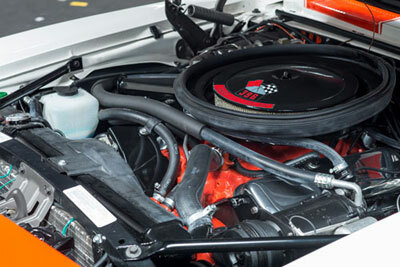 All components on the smog reducing setup and the air-conditioning are done with NOS parts. As a matter of fact, the restoration was done with over $30,000 used in NOS parts. The car was shown twice in the U.S., scoring 996 points on the 1000 points scale. I have also been to car shows with the Camaro in Europe, doing very well. I would like to add the yellow flags they used on the pace cars on the race tracks back in 1969, mounted on the rear bumper of the car. If anyone out there has the flags or holders or knows where I are am able to buy them, I would be more than happy to know. Please email: Morten@Herning-Laaseservice.dk Thank you. Follow us on our Camaro Facebook page. Click here and Like us!